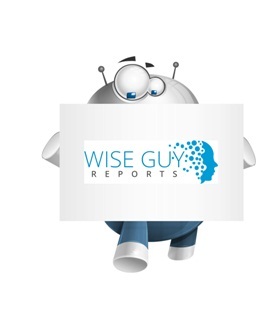 WiseGuyReports.Com Publish a New Market Research Report On –“ Kanban Software Market 2023 : Global Services, Applications, Deployment Type, Regions and Opportunities”. Kanban is a visual project and process management technique that uses cards or signals to represent work items. A work item can be a task/process step, a deliverable that requires a sub-set of tasks or a project within a larger project/program. Using kanban cards to represent tasks is helpful when there are lots of moving parts and pieces to a project. This report studies the Kanban Software market status and outlook of Global and major regions, from angles of players, countries, product types and end industries; this report analyzes the top players in global market, and splits the Kanban Software market by product type and applications/end industries. End-Users of Kanban Software can be segmented into two types: Personal Use, SMBs and Large Business Use. Personal Use and SMBs takes a bigger market size of about 66.55% of total global share in 2017, and Large Enterprise segment is the fast growing downstream user group in the world at present. Currently, the market concentration rate is very high. Leading international players include LeanKit, Kanbanize, SwiftKanban, One2Team and some others. LeanKit, SwiftKanban and One2Team are major players in USA market. There are also some small local players spread in each separate countries, to meet the needs of local logistic system. The global Kanban Software market is valued at 110 million USD in 2017 and is expected to reach 290 million USD by the end of 2023, growing at a CAGR of 18.0% between 2017 and 2023. North America, especially The United States, will still play an important role which cannot be ignored. Any changes from United States might affect the development trend of Kanban Software.